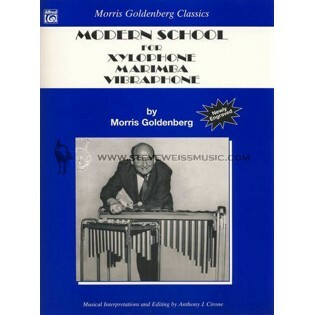 The “Goldenberg book”—Modern School for Xylophone, Marimba, and Vibraphone by Morris Goldenberg—has been used by generations of orchestral mallet players to develop their skills. Along with the studies and etudes, this book includes excerpts of major orchestral repertoire for keyboard percussion instruments. 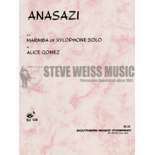 This edition, edited by Tony Cirone, includes phrasings that were inherent in the music but not specifically written out. Stickings are also addressed: the original stickings are in uppercase letters, and the added stickings are in lowercase. 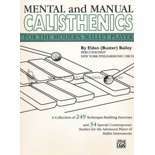 This book is the primary source for keyboard percussion players to learn technique and orchestral repertoire. A must-have for percussion students. A classic text for percussionists. "Modern School for Xylophone, Marimba, and Vibraphone" is a must have for any percussionist that wants to develop their mallet percussion knowledge. The book has a wide variety of material. From simple exercises for beginner players, to great sight reading etudes, to challenging classical solos and a plethora of excerpts from famous orchestral pieces. 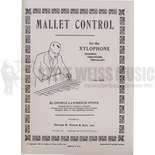 Whether you are just a beginner mallet player or experienced professional you cannot go wrong with this book! One of the older books, but it definitely teaches you all of the skills required to becoming a great mallet player. Great book to have for sure. My band director recommended this book to start me learning some different mallet instruments. It provides a lot of good exercises and some etudes. Some of the stickings are a bit weird, but it's nothing worth deducting a point for. Overall a great purchase. This is a great book for the intermediate and advance mallet player.